To have access to all the health services that they may need and receive humane, kind, comprehensive and respectful care. Respect to their dignity without discrimination regarding race, religious beliefs, gender, economical or cultural resources. To know the identity of their doctor who will be their main spokesperson within the assisting team and the person responsible for providing all the necessary information in comprehensive terms, in a clear and truthful manner. In his absence, another member of the team will assume said responsibility. They can also receive a second medical opinion at any time. 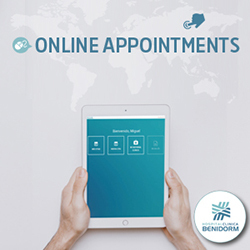 To receive medical attention within an appropriate time scale depending on the process, as well as being offered information regarding the waiting times in consultations, diagnostic tests and surgical interventions for each different process. To be given information regarding their state of health during all of the assistance process. This can also be given to other people when authorized by the patient. They also have the right to voluntarily refuse to be informed. To be informed of the use of teaching projects or investigations such as clinical trials or diagnostic and therapeutic procedures that may be carried out but will never cause additional damage to their health. Previous authorization is always obligatory in these cases, in writing by the patient, and can be refused at any time. The no intervention causes a risk to public health. An expressed legal order exists. The patient is not capable of making decisions (in which case the right corresponds to family members or appointed people). That the urgency of the assistance cannot be delayed. Confidentiality to their personal details and assurance of the custody of their Clinical History. Privacy during the medical and surgical treatments. Receive a discharge report once the care process has finished as well as any other available health certificates. Every individual has the right to be free of the damage caused by the poor workings of the health services, the medical errors and the professional negligence and the right to access health services and treatments that comply with the standards of the highest safety. Every individual has the right to access the highest quality services based on the specification and following of precise standards. This implicates the specification and compliance of the standards of precise quality established by public and consultative processes which are periodically revised and evaluated. 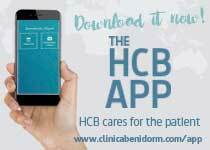 Receive personalized treatment adapted to the needs of the patient. 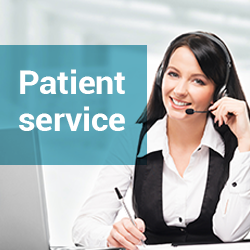 The patient has the right to know the formal channels to present complaints, suggestions and in general, to communicate with the institution. That all opportune actions are carried out that, together with the attention to the progress of the patient, have the goal to reduce and palliate suffering and pain in both critical situations and those facing death, in agreement with the maximum respect to free will, integrity and human dignity. The patient has the right to have their advanced, previously correctly stated wishes taken into account. Comply with the rules of the hospital and adequately use its installations, favoring its habitability and the comfort of the other patients, as well as treating with respect all of the staff (medical or not), as well as the other patients and family members. Comply with the general prescriptions of common sanitary nature of everyone, as well as the determined specifications of the health services. Sign, in case of denial of the proposed treatment, the document which states your denial after receiving sufficient information, as well as, when requested, the voluntary discharge form.